Our archery school is located on a residential property in the northern part of Boulder, Colorado and is very easy to find. 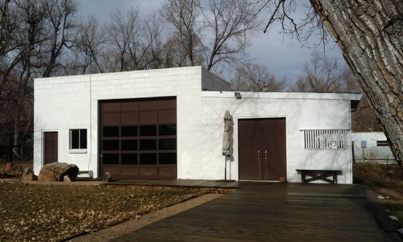 Classes are held in the rear end of the residence's property. Please follow the directions and instructions stated below. Drive about 7 blocks and turn LEFT (North) on to 19th Street and drive less than 1 mile. Turn RIGHT into the property's driveway at #4220 near the Sumac Avenue intersection. Stay on Hwy 36 into Boulder, then turn LEFT on to Iris Avenue. 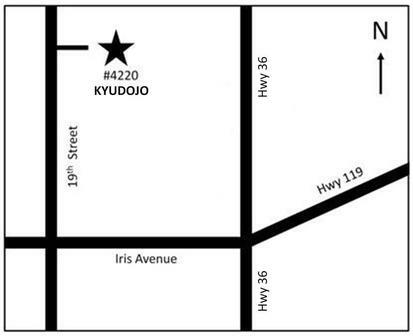 Take Iris Avenue WEST for about a half-mile and turn RIGHT on to 19th Street. Drive less than 1 mile and turn RIGHT into the residential driveway at #4220 near the Sumac Avenue intersection. 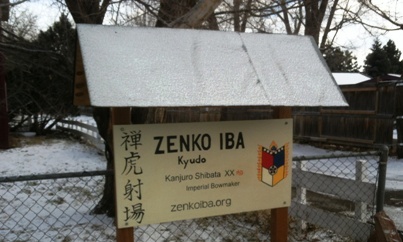 Above: A picture of our training MATOBA or covered shed where we shoot arrows toward targets during outdoor classes. CLICK HERE if you'd like to see a more detailed map. House number 4220 is at the intersection of Sumac Avenue and 19th Street directly across the street from Crestview Elementary School. 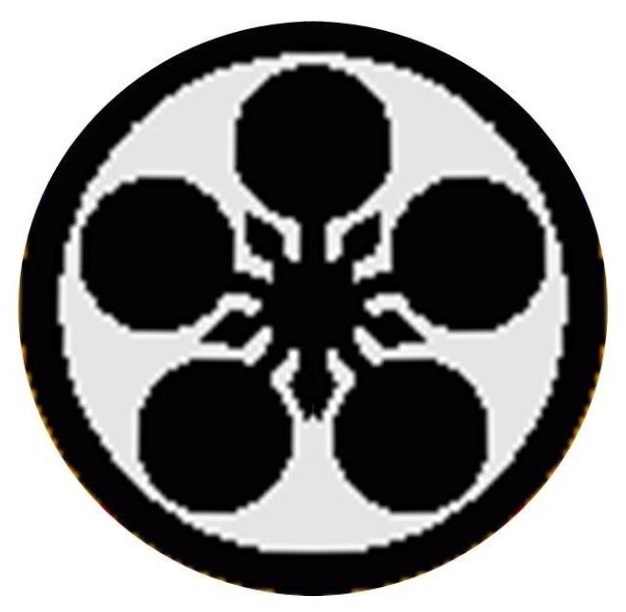 You will see a sign in front of the property indicating that you have found the correct address of the Kyudo school. Turn into the residence's driveway, drive slowly about 150 feet, and park at the far end of the gravel driveway. If the driveway is snowy or muddy, please park in the school parking lot across the street. Please do not disturb the residents. 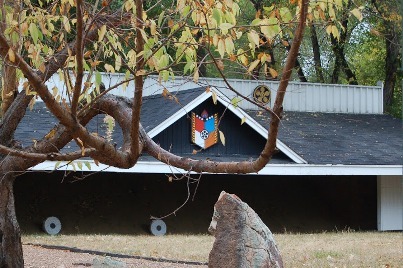 Instead, walk toward the white garage-looking building across from the archery range at the rear of the property and enter through the rear or East side door. Upon entering the school please remove your shoes and silence your cellular phones. 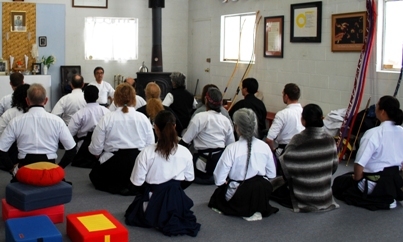 If, when you arrive, the class is in seated meditation, please sit quietly on the bench and we will greet you shortly. Or, you are welcome to grab a cushion and join us in seated meditation.